Register once and download multiple documents. Get unrestricted access to the information you need to educate your ERP selection team and make the right ERP software buying decision. Learn more about abas ERP. Access product brochures, whitepapers, case studies, how-to guides and more! How do you make sure you're asking the right questions that will help you truly differentiate between vendors? Who from your company should be involved in the process? And most importantly, how do you select an ERP system that gives you a competitive advantage? 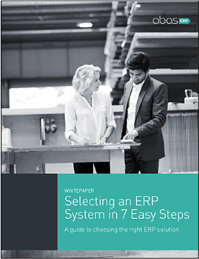 This how-to guide tackles common problems that ERP projects face in today's environment. Get expert advice from one of abas USA's senior implementation specialists, and learn the most important practices for ensuring that your ERP performs at optimum levels, delivering the highest ROI possible. 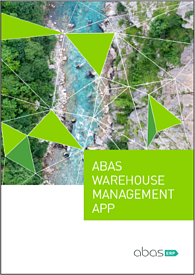 The abas ERP Warehouse Management app streamlines your inventory management, shipping and receiving all in one convenient, cross-platform mobile app. Barcode scanning is a key component of the app that speeds inventory processes and eliminates data errors. 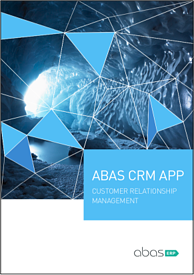 With full offline access, efficient data synchronization, robust functionality and an intuitive mobile interface, the abas ERP CRM mobile app exceeds industry standards, allowing your users to be just as effective on the road as they are in the office. 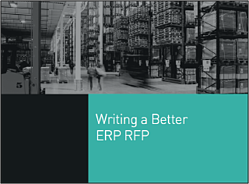 Considering a new, or maybe your first ERP system? It is a major decision: on average, businesses stay with the same ERP provider for 6 to 10 years. You need a partner who isn’t just thinking about today’s needs but will adapt as your competitive landscape changes. Implementing ERP software is a necessity for mid-sized businesses. 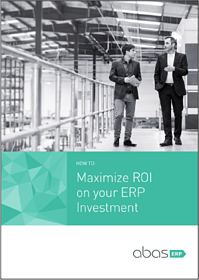 What criteria must a modern ERP system meet for medium-sized manufacturing and distribution businesses? 10 questions you should ask during the ERP selection process. One major trend poised to have a transformative impact on the manufacturing model of the future is IIoT - the Industrial Internet of Things. The term refers to products, machines and devices that typically haven’t had any kind of connectivity. 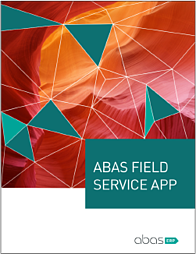 The abas ERP Field Service App consolidates all of your field service data into a single place - service reservations, service requests, orders, service products, notes and tasks - all linked together and easily accessible whether your staff is in the office or not. 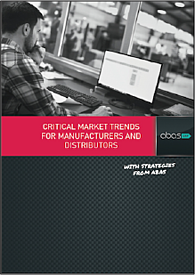 Learn how today's most profitable manufacturers monitor and measure what drives their success. 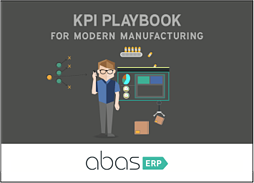 This guide covers the 14 most important KPIs for modern manufacturers, divided into manufacturing KPIs, inventory KPIs, and Quality KPIs. 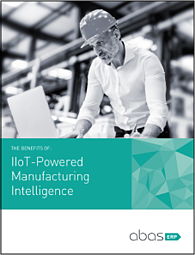 This how-to guide takes a look at several topics related to IIoT, including what it is, how manufacturers can benefit from having a connected enterprise, how a modern ERP system can help businesses build an IIoT-based infrastructure. 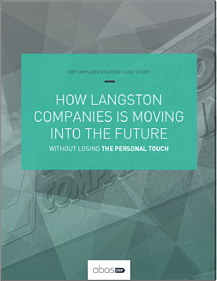 Learn about the process Langston is going through as part of their ERP implementation, including the key decision points and overcoming obstacles. The implementation will touch nearly all aspects of their business including inventory, shop floor, CRM and sales, their product configurator, and more. 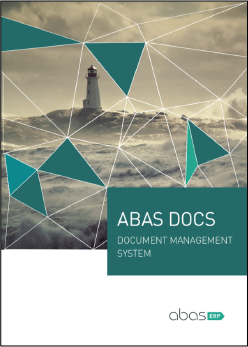 abas Docs is a powerful, browser-based tool for securely uploading, storing, sharing, searching, versioning and archiving all of your company’s documents. And it couldn’t be simpler or more intuitive to use. Upload new documents with just a few clicks. 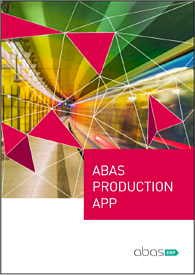 The abas ERP Production app gives you the accuracy and flexibility your shop floor needs. With options for Plant Data Collection (PDC), time card entry, work order details, and issuing materials, you can mix and match the features and functions your business needs. 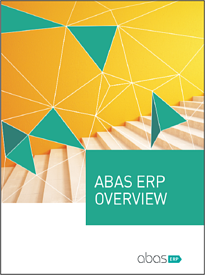 What makes abas ERP different? Are you ready for Industry 4.0? Digitization, the Internet of Things (IoT), cloud ERP, mobile ERP, business process management - how will these and other technologies impact the businesses in today's manufacturing and distribution space? Emerging technologies allow custom manufacturers to produce custom orders fast and at lower costs that support profitability. 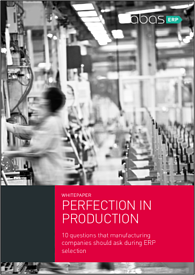 The manufacturing trade-offs between scale and customization as well as between cost and quality, are quickly disappearing. In the age of Industry 4.0, technology simply can’t be an afterthought—it must be a central component of the company’s business strategy. Industry-leading fabricators and assemblers are increasingly focusing on innovative technologies.